By Terry Dunn on Jan. 8, 2015 at 9 a.m. The story of the plane most people associate with private executive travel. Few airplanes throughout history have achieved such widespread status and name-recognition among the general public as the LearJet. 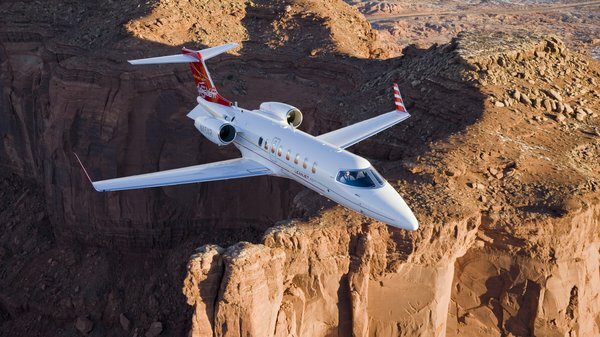 To the casual observer, every business jet is a LearJet...and that’s just what Mr. Lear wanted. Such success didn’t come easily. A steady flow of challenges provided constant catastrophic threat to the LearJet development program. The airplane’s eventual success was due in large part to Lear’s laser-like focus and dedication to making his airplane a reality. Throughout the 1950s, most business aircraft were surplus, WW2-vintage, bombers and transports. Their spartan cargo holds and bomb bays were transformed into plush, mahogany-trimmed cabins. These airplanes were roomy and relatively affordable. Most had massive radial engines spinning their propellers, which made them sufficiently speedy, at least until the first generation of jet airliners raced onto the scene and left lesser modes of transport in the dust. It was only a matter of time before business travelers would demand similar performance of their company-owned steeds. The concept for the LearJet was like a 6-passenger Ferrari among a field of tour buses. The LearJet was not the first bizjet. Lockheed’s JetStar and North American Aviation’s Sabreliner were available by the early ‘60s, as were other products of the established aviation industry. Yet these were rather big airplanes and had been initially designed to meet military specifications. 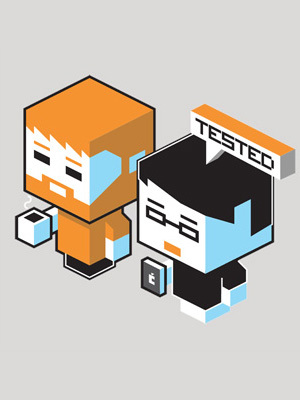 Commercial applications were an afterthought. Consequently, their prohibitive costs put them out of reach to all but the richest Fortune 500 companies (and Elvis). Bill Lear envisioned a smaller, faster, and more affordable alternative. Although it was his jet that would make Lear a household name, William was a well-established fixture of the aviation community long before he embarked on his bizjet project. Despite a piecemeal education, Lear had a natural aptitude for electronics. He was the first to make a practical car radio, spawning a business that would become Motorola. He later developed radios, avionics and autopilot systems for aircraft--items in high demand before, during, and after WW2. Lear’s penchant for inventing things seemed to have no limits. He was presented with one of aviation’s most coveted awards, the Collier Trophy, in 1949 for his development of the F-5 autopilot and auto approach control coupler (an automatic landing system for use in bad weather). Soon after the LearJet was released, he invented a device to have music on board: the 8-track cassette and player. Bill Jr. also found notoriety in aviation circles. In 1946, at the age of 17, he acquired a surplus Lockheed P-38 Lightning, one of the US’s most powerful fighters during WW2. He competed in the 1946 and 1947 Bendix Races, in addition to performing aerobatic routines at airshows across the country. He later joined the US Air Force and flew a range of fighters and other aircraft. 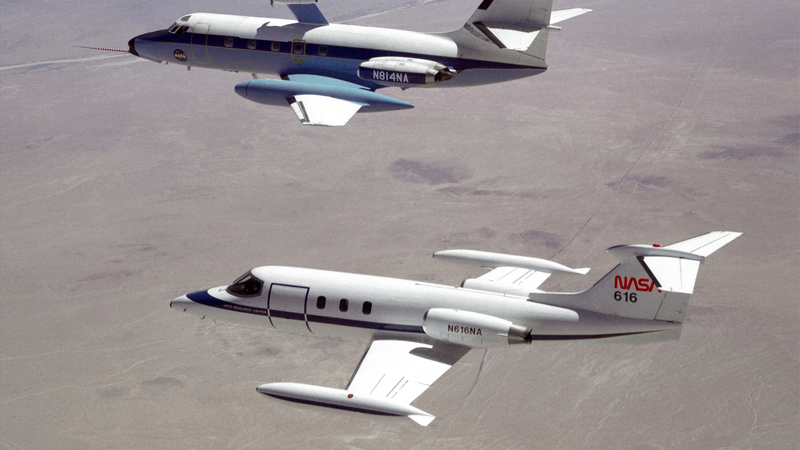 The younger Lear’s extensive experience with jet aircraft would play a pivotal role in shaping the LearJet. By 1956, Bill Jr. was out of the air force and living in Geneva, Switzerland. As president of Lear Incorporated S.A., he managed the company’s Swiss manufacturing facility and oversaw the sale of Lear products over a wide swath of Europe and Africa. Swiss aircraft manufacturer FFA reached out to Bill Jr. in 1960 for help with their P-16 ground attack jet. Two of the prototype aircraft had crashed (both pilots safely ejected) and FFA was desperate for salvation. During Lear’s preparations to fly the P-16, he surmised that the design’s biggest shortcoming was the relative inexperience of its test pilots. He felt that both had ejected needlessly following recoverable malfunctions. In the first instance, a ruptured feed line starved the P-16’s jet engine of fuel. The flameout occurred with sufficient altitude to glide back to the airport. The pilot, however, failed to retract the P-16’s air brakes and doomed his chances of making it to the runway. The second aircraft was lost when the pilot punched out due to a hydraulic system failure, without ever attempting to activate the backup system. Bill Jr. flew the P-16 several times and fell in love with it. His flights proved what the homegrown Swiss design was truly capable of. Unfortunately, the die had already been cast. Too many people in the press and the government of Switzerland were already convinced that the P-16 was a dud worthy of its cruel nickname, “The Swiss Submarine” (both ill-fated prototypes had crashed into Lake Constance, where they quickly sank). The Swiss Air Force would continue to source its aircraft from foreign manufacturers. As it happened, the demise of the P-16 program would prove to be a boon to the Lears. Bill Jr. Conveyed his enthusiasm for the P-16 to Bill Sr., who was looking for a team to make his bizjet concept a reality. Lear Incorporated’s board of directors refused to take on the project. They argued that producing an aircraft would pit the company against the manufacturers that they supplied with avionics. Bill Sr. resigned in protest and sold his share of the company. Lear formed the Swiss American Aviation Corporation (SAAC) in Switzerland and hitched his wagon to Dr. Hans Studer (designer of the P-16) and the idle FFA team. Lear was the sole investor, gambling his personal fortune on the success of the LearJet. This situation allowed Lear to make bold and risky decisions that no committee would ever endorse. For instance, there was no prototype tooling created for the LearJet. Lear was so confident in the design that he directed FFA to create production-quality tooling from the outset. This decision would doom the program if significant design changes were required. In the end, Lear’s audacious move shaved off months of development time and incalculable dollars (well, Swiss Francs actually). Despite the economic advantages of his Swiss operation (where labor rates were roughly half of US pay rates), progress at FFA was too slow for the impatient Lear. He had all of the completed hardware loaded up and moved to pastures that, if not greener, were definitely flatter. He set up shop as the LearJet Corporation in Wichita, Kansas, where Boeing, Cessna, and Beechcraft already had established factories. The presence of other aircraft manufacturers in Wichita provided a sizable pool of engineering and production talent that Lear could lure to his shop. Development of the jet resumed at a much more agreeable speed. Just ten months after opening the doors Kansas, the first LearJet 23 prototype was ready to fly. The monumental first flight took place in October of 1963. 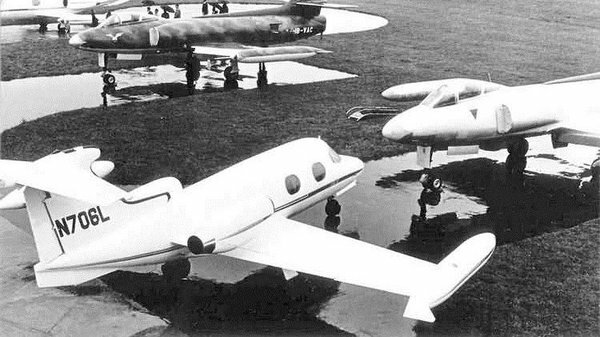 The LearJet’s maiden flight was a surprise for many. Even the pilots, Hank Beaird and Bab Hagan had not planned to fly it that day. After the jet departed the airport, Lear workers called their families so they could be there to see it land. Word spread quickly through Wichita. It was already dark when Beaird and Hagan arrived overhead. By that time, the highway bordering the airport was clogged with parked cars full of people who wanted to get a look at the new jet in flight. Before Lear could sell his prized jet, it had to be certified by the FAA--a lengthy endeavor. It was during the certification process, in June of 1964, when the prototype LearJet crash-landed soon after takeoff. The pilots were able to escape the aircraft safely, but the jet was destroyed by the ensuing fire. The FAA pilot in command during the crash had neglected to retract the jet’s wing spoilers before takeoff. This oversight effectively negated the lift from 35% of the wing and prevented the LearJet from climbing more than a few feet before it settled back onto the Kansas turf. Lear used the government pilot’s error to strong-arm the FAA into providing more resources to certify his jet. The tactic worked. Using the second prototype, the LearJet 23 was certified just seven weeks later in July 1964. By comparison, the Jet Commander was not certified until November 1964, even though its maiden flight occurred eight months prior to that of the LearJet. Once the LearJet23 hit the market, Lear turned on his publicity machine. He gave rides to anybody who was anybody in show business. His aim was not necessarily to sell a LearJet to all of them. Rather, he wanted to generate buzz about his airplane. He also showcased the LearJet’s exceptional performance by executing a number of record-breaking flights. Before long, LearJet was indeed a household name and the standard by which all successive bizjets would be judged. 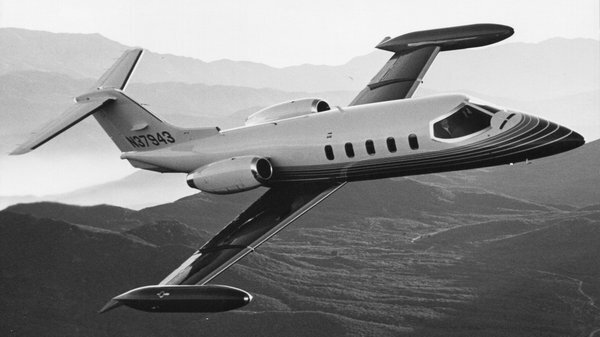 Although William Lear would continue to develop new products for the electronics industry and aviation, the LearJet represented the pinnacle of his success. The LearJet brand has passed through a handful of different owners and is currently a division of Bombardier. Although LearJet models have evolved over the years, they still retain many distinctive features of the original. Mr. Lear died of leukemia in 1978. He was 75 years old at the time. According to Bill Jr., Bill Lear never lost his tenacity, boldness, and the ability to muscle his projects to the finish line, no matter the odds.